Last week we bought a shiny new enamel casserole dish from Sainsbury’s (it’s lovely – and it goes in the dishwasher!) to make it easier to try more WW2-era recipes. The first one we chose to recreate is black pudding hotpot, the recipe for which I found in The Kitchen Front: 122 Wartime Recipes, which is a small book – more of a pamphlet really – published in 1942 and which contains recipes that were originally broadcast on the BBC’s Kitchen Front radio programme. If necessary, remove the skin from the black pudding and cut into thick slices about 1/4 (0.5 cm) in thick. Peel (or not) and slice the carrots and potatoes. 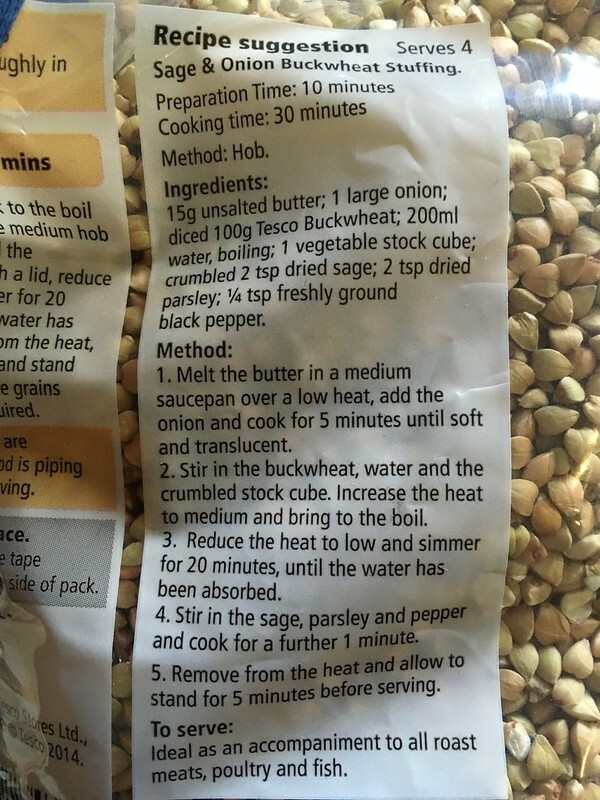 If you are using an onion, peel and slice or dice it. 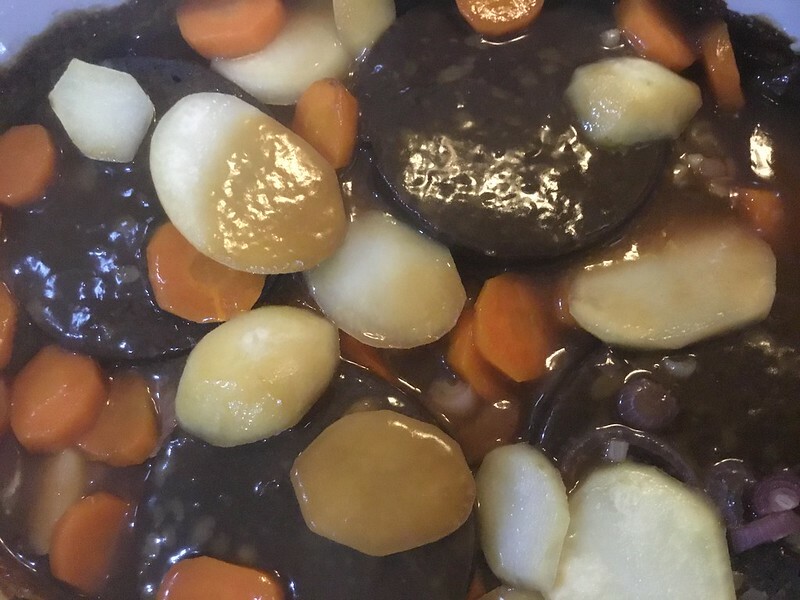 In a casserole dish, arrange the carrots, potatoes and black pudding slices in layers, seasoning each layer with the onion and sage. Mix the gravy powder and flour smoothly with the warm water and pour over the casserole. Cover and cook in a moderate oven for about 3/4 hour. 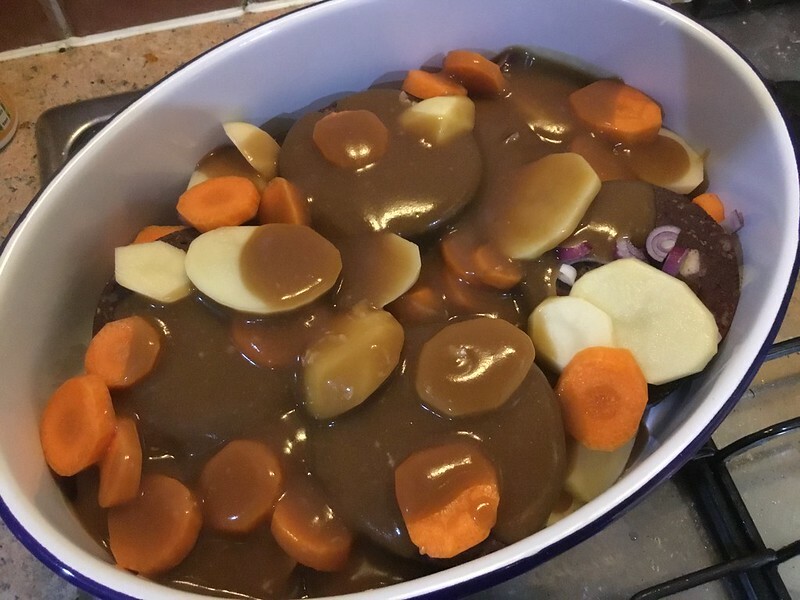 Personally I think the gravy comes out a little thick, and I would either make more gravy for it, or make a fresh batch of gravy to serve it with when it comes out of the oven. 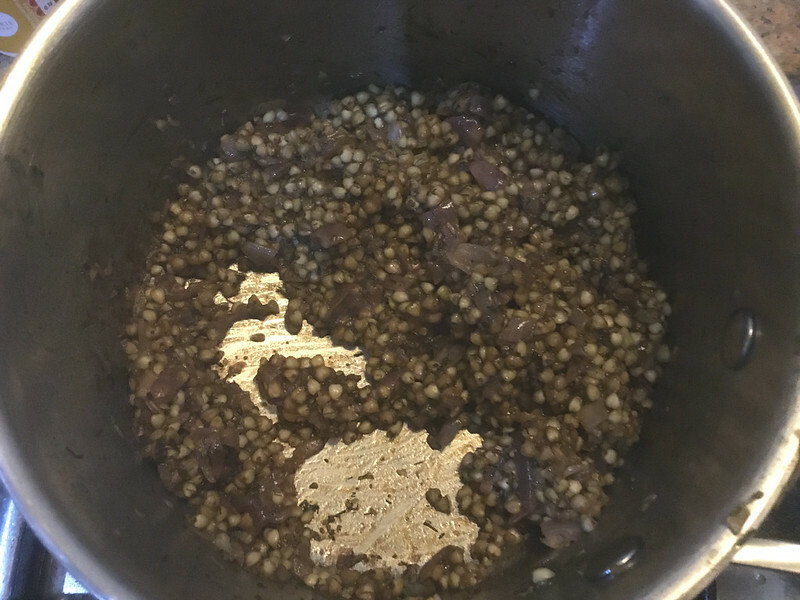 It’s not bad, I just like a bit more ‘juice’ in my dinner 🙂 It is hearty, and tasty, and we’ll happily eat it again. We made enough for four portions, reheated the leftovers in the microwave for the second night and served them with rice.